An otolaryngologist is a physician specialist who focuses on the diagnosis and treatment of medical conditions and disorders of the ears, nose, and throat. Sinus issues, cancers, infections, diseases, or malformations of any of these areas are treated by otolaryngologists, sometimes referred to as ENTs (for Ear, Nose, and Throat) or ENT physicians. 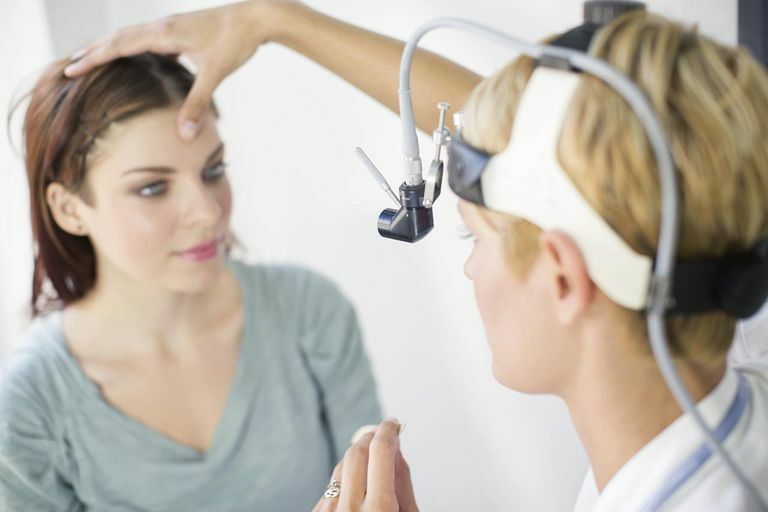 As such, otolaryngologists also often work in conjunction with audiologists and speech pathologists, as their medical field also impacts communication, speech, and hearing. Technically speaking, the proper term for these specialty physicians is otorhinolaryngologists, but because that is such a long word, they are often called otolaryngologists or ENTs in conversation. Optional fellowship training in sub-specialty of choice such as head and neck, plastic/reconstruction, etc. - 2 years. Like all physicians in the United States, otolaryngologists must pass all three steps of the USMLE (United States Medical Licensing Exam). Additionally, while not always a requirement, most practice opportunities now require board certification in otolaryngology by the American Board of Medical Specialties (ABMS). Additionally, otolaryngologists must obtain a state license to practice medicine in the state where they work. In order to maintain their license, otolaryngologists must complete the required amount of CME hours (clinical medical education), and complete the license renewal process every 7-10 years depending upon the state requirements in which they practice, and the requirements of the specialty board. ENTs typically maintain an office practice either in a private medical office or hospital-based office. They can be employed by a hospital, medical system, university, or government institution, or they may be self-employed and own their own medical practice. In addition to seeing patients in an office setting, most ENTs also perform surgeries in an outpatient center or in a hospital. During a full day in the office, they may see anywhere from 25-35 or 40 patients. Surgeries performed by ENTs may include tonsillectomies (removal of the tonsils and adenoids), repairing deviated septums in nasal passages, plastic and maxillofacial surgeries, removal of tumors, reconstructive surgeries, cochlear implants (to restore hearing), and more. Typically an ENT will perform about 250-300 surgeries annually. ENTs work with patients of all ages, but often have a higher percentage of pediatric patients due to the nature of the work that they do, and the increased volume of ENT problems in pediatric and adolescent patients. According to the Medical Group Management Association (MGMA) 2013 Physician Compensation and Production Survey, the average annual income for otolaryngologists (or, otorhinolaryngologists) is about $442,119. Since they are specialists and perform surgeries, ENTs are often among the higher-earning physicians. The job outlook for all physicians is strong, with shortages predicted through the year 2020 and beyond, according to the American Association of Medical Colleges (AAMC). This is due to the growing population in the U.S., as well as the increasing average age of the nation's population, in addition to the Affordable Care Act of 2010 (ACA). The ACA, also called Obamacare, is the health reform law with many objectives to change healthcare in the U.S., one of which was to increase the rate of Americans who are able to get healthcare insurance coverage. Millions of newly insured Americans will create further demand for physicians including otolaryngologists.